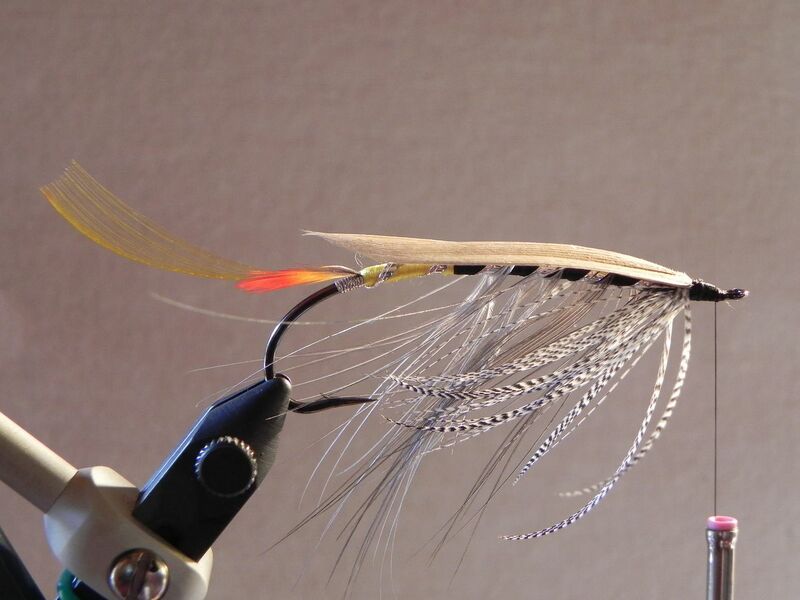 As described by T. Pryce-Tannatt in his book: How to Dress Salmon Flies: A Handbook for Amateurs. 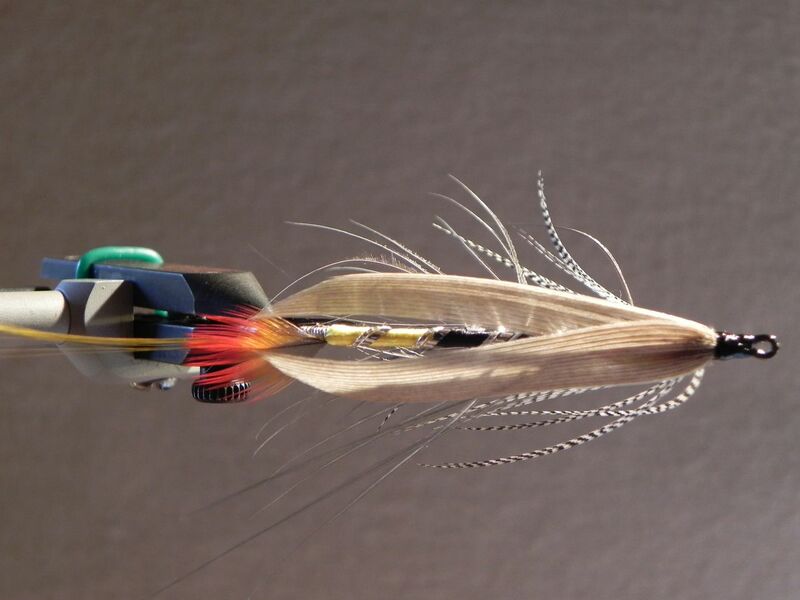 Here’s the follow-on step-by-step for the wing of this pattern. I’m simply going to pick up with the step after the last one in the previous post. 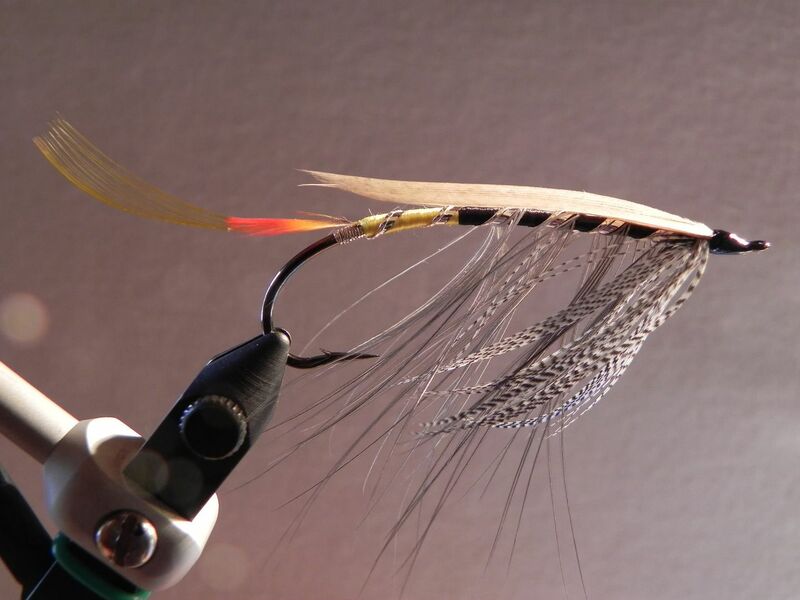 The wing on Dee patterns is set up differently than on either the classic featherwing Salmon flies or the Spey flies, in that it’s mounted relatively flat on the top of the hook. There are many theories for why this is so. 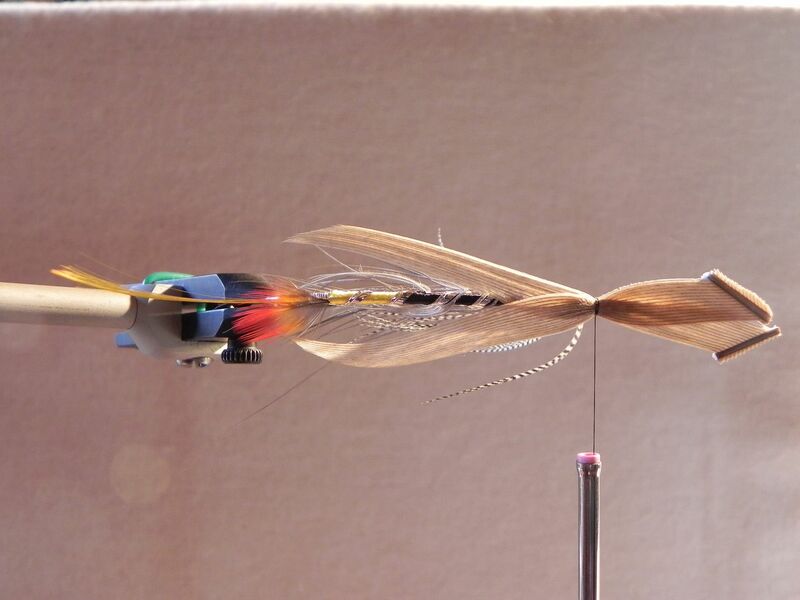 One of them says that horizontal mounting lets the wing slips “breathe” in and out (move toward the body / move away from the body) as the fly swims through the water. There are others. 18. 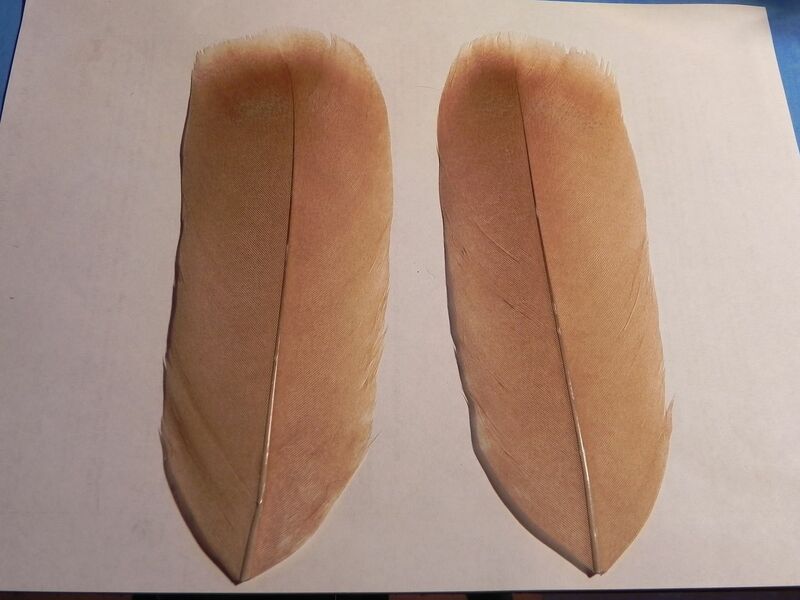 Cut the feathers at the point where the barbs are as long as possible and where the edges are in good condition. 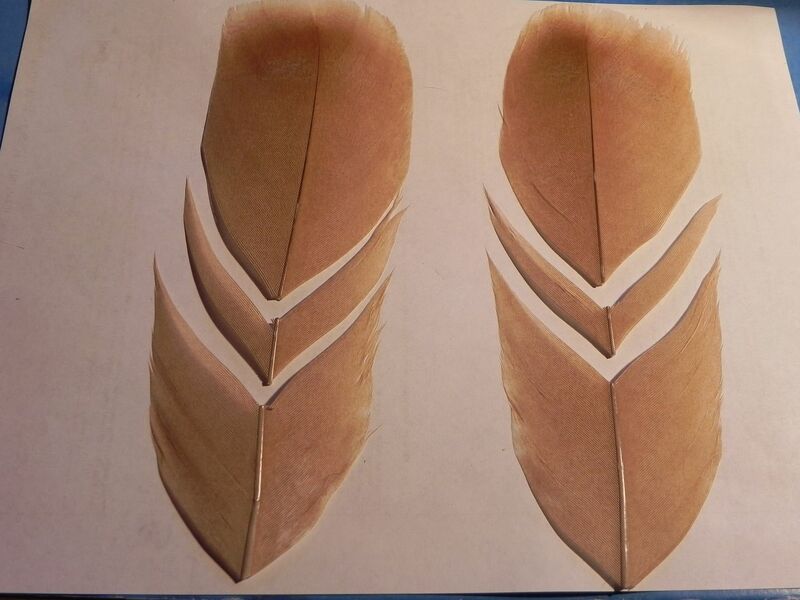 Then determine the size of the wing slips that you want and cut each feather again, at that point; giving you a “V-section “of feather from which to fashion your wing slips. 19. 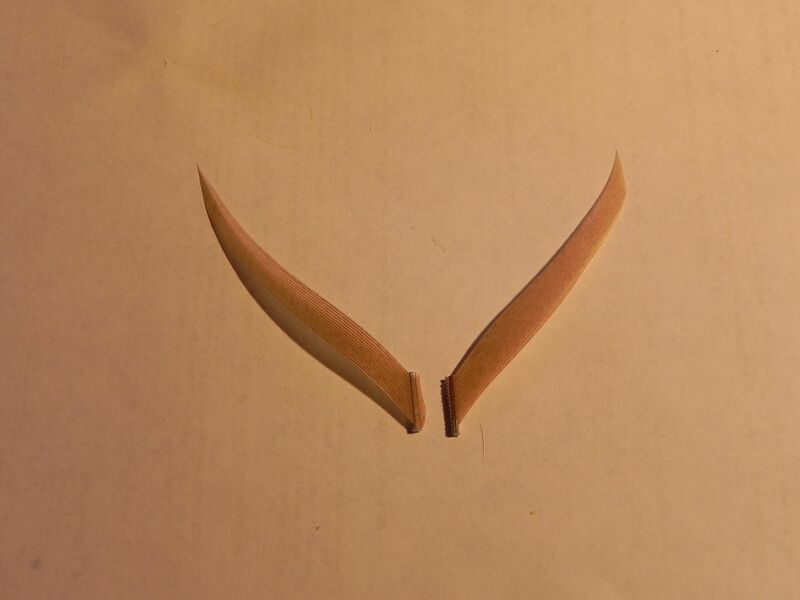 Cut off the part of each V-section that you don’t want, leaving the stem attached to the part that you do want. This keeps your barbs from moving around while you’re mounting them and tying them in. Then, mount your near-side slip right on top of the far-sides slip; using exactly the same process. 21. 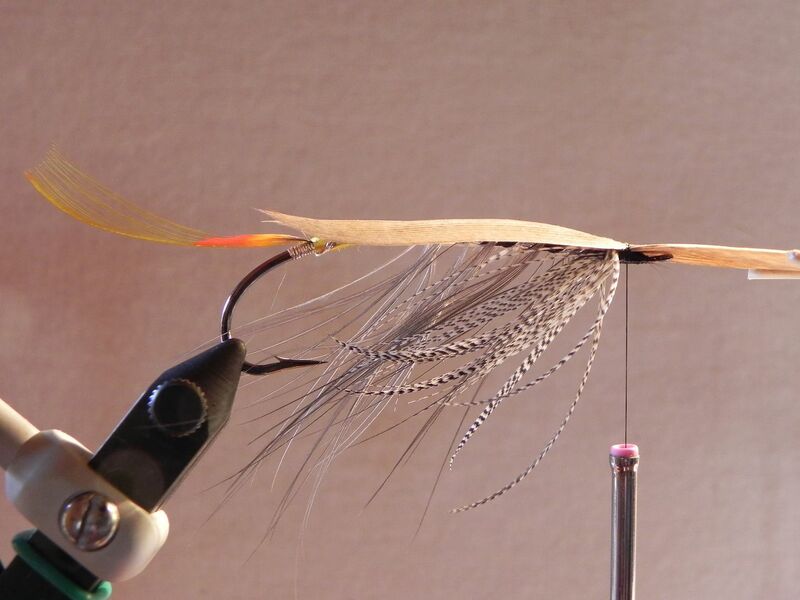 Once you’re happy with the placement of the wings, cut off the waste ends of both slips on a slant; so that the part of the slip that’s toward the center of the hook is slightly longer, bind down the waste ends and start to form your head with tying thread. 22. Finish off the head and secure it with 2-3 half hitches or a good whip finish. Coat the head with head cement (I useSHAAN) and you have your finished fly. That’s the completed Jock O'Dee pattern! Last edited by Frank Whiton; 03-26-2011 at 01:41 PM.